When you find yourself shopping for satellite phone plans, you'll quickly discover that the process is not unlike the one you might use if you were shopping around for a regular cell phone plan, except for the fact that there are not as many service providers. The three largest and most widely-recognized satellite phone companies companies are Globalstar, Iridium and Thuraya. The companies are certainly different, and so are their available plans, with each one catering to customers with different needs. Featuring over 425,000 subscribers as of the end of 2011, Globalstar is one of the world's top providers of satellite phone services. Its entire network operates off the Globalstar satellite constellation, which features 40 satellites that communicate with Earth's land-based telephone network. Available for $39.99/month, and including a $50.00 activation fee, the Evolution 2 plan from Globalstar entitles you to free unlimited voice and data airtime, as well as free roaming in the continental United States and the Caribbean islands. It provides coverage for most of the world, excluding Mexico, most of middle and southern Africa and many Asian countries like India and Somalia. Keep in mind, however, that to sign up for the plan, you'll need to purchase a GSP-1700 CDMA digital phone for $499. While expensive, this is in fact a $500.00 discount from the phone's MSRP. Available for the GSP-1600, GSP-1700 and GSP-2900 satellite phones, and offered to US, Canadian, European, Latin American and Asian customers, the Enterprise Data plans are geared for corporate organizations seeking affordable satellite communications services. They're available as burst contract plans, short-time period plans and government plans. There are seven particular plans, with bundled rates ranging as low as $0.05 per 15-second data session. Based out of McLean, Virginia, Iridium Communications hosts fewer subscribers than Globalstar, but features a larger satellite network. The company has 66 active satellites that provide coverage of the entire planet, including poles, oceans and airways. Prices vary greatly based on location, products and service needs, so you'll need to contact the company directly to obtain a price quote. Iridium GoChat Crew Calling Voice Plan: This plan features prepaid calling cards and allows corporate crew members to stay connected 24/7 without having to worry about usage charges. Crew members simply dial a number, enter a PIN and then make their calls. Iridium Prepaid Calling Voice Plan: This service plan offers a monthly prepaid rate plan for an Iridium satellite phone. The difference between this and GoChat Crew Calling is that you need an actual Iridium satellite phone to utilize it. Iridium Postpaid Calling Voice Plan: With this plan, you're charged the same rates as the Prepaid Calling plan, but you don't have to pay in advance. Instead, you pay at the end of the month. This means you don't have to worry about a low balance. Iridium SBD Data Plan: This plan permits the transmission of short data messages between compatible devices like the Iridium 9522A&B, 9555, 9601 and 9602. It's especially useful for monitoring crew members who are on the move, whether by plane, ship or truck. Iridium SMS Data Plan: This is a two-way service that allows for the sending, receiving and responding of messages that are stored for up to 7 days and delivered automatically when said phone is powered on. Furthermore, it may be used globally. Iridium RUDICS Data Plan: This is an advanced gateway termination/origination service for satellite data calls that eliminates the requirement for analog modem training, but increases the connection quality and overall throughput. Based in the United Arab Emirates, Thuraya provides satellite phone coverage to most of the world's continents, including Europe, the Middle East, Africa and Australia. However, its coverage does not include North and South America. While available for the general public, Thuraya primarily provides it services particular industries and applications, including the military, defense agencies, aviation organizations and media companies. Thuraya Prepay Voice Plan: The company's prepay voice plan permits you to credit your account at any time by just using a scratch card containing a 14-digit PIN. These cards are available in 140 countries for prices as low as 20 units. You may apply them to your account by either dialing 150 or logging in to the Thuraya website. Thuraya Postpay Voice Plan: This particular plan offers unlimited satellite voice usage on the premise that you'll pay your balance in full at the end of the month or sometime soon after. There's a one-time access fee, but the monthly rates are generally lower than that of the Thuraya Prepay plan. Thuraya Prepay NOVA Voice/Data Plans: The Prepay NOVA Voice Plan is a prepaid service designed for use in only a few select countries in Asia, Africa and Europe. It's based off SIMs that contain 20 USD in credit and provide access to voice, data, SMS and GmPRS services. Thuraya Postpay NOVA Voice/Data Plans: With this postpaid plan, you are again limited to only a few selection countries in Asia, Africa and Europe, but you're provided with unlimited voice, data, fax, Internet and SMS services on the basis that you'll repay your balance at the end of the month or soon after. You can learn more about both of these plans on the pricing page. Before you chalk up a fortune on the cost of satellite services, closely analyze your needs. Unless you are a large business with field workers all across the states or even the world, you'd be much better off relying on a conventional telecommunications plan with the likes of AT&T, Verizon or Sprint. 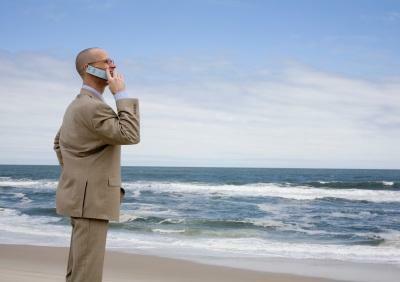 Truth be told, satellite phone plans aren't really geared for casual consumer use.